We’d love your help. Let us know what’s wrong with this preview of Guardian of the Pines by Laurel Wanrow. A grin crept over his face at the soft blue-green Cor let this pine register in his senses. Magic flowed to his fingertip, and he touched a spark to the cambium. Novice witch Fern becomes caught up in Cor’s quest. 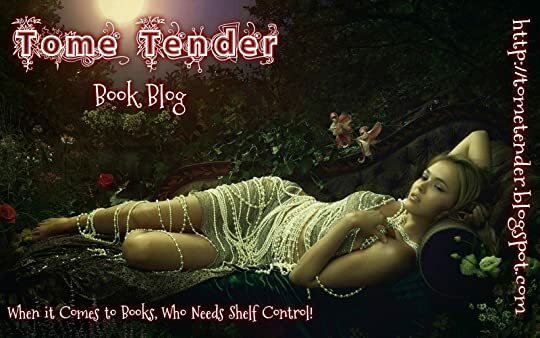 Her magical mistakes anger the elders and foul up her boyfriend relationship, yet Cor’s yearning speaks to her, and they each reshape their goals. When Cor befriends Oyster, an island boy waging his own quiet battle, things get freakin’ harder. Cor’s struggle to understand the magical power of the massive pines is just as challenging as discovering his even more powerful feelings for Oyster. To ask other readers questions about Guardian of the Pines, please sign up. All he wanted was a chance to prove himself, but was it the outside world he needed to prove himself to or was it himself? 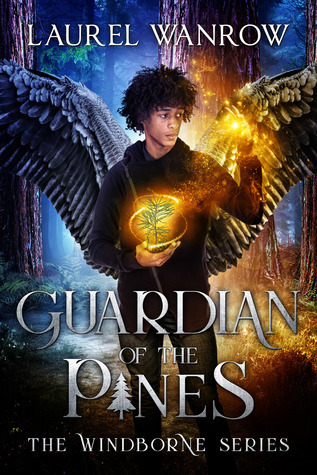 Laurel Wanrow’s GUARDIAN OF THE PINES is the story of one teen’s secrets, insecurities and determination to follow his heart and his magic and he will do whatever it takes to achieve his dreams. Cor is a bit of a trickster, street-smart, yet his talent for magic and his love of the ancient pines pulls him to the hidden island where the pines are dying, because he knows he can All he wanted was a chance to prove himself, but was it the outside world he needed to prove himself to or was it himself? Cor is a bit of a trickster, street-smart, yet his talent for magic and his love of the ancient pines pulls him to the hidden island where the pines are dying, because he knows he can save him, he is more than he appears, but will he get the chance? Is he going about achieving his dreams the right way? When confronted with his feelings for Oyster, will he take a leap of faith and show his true self to the world around him? Ms. Wanrow’s own magic has created a wonderful tale of self-acceptance and trust without holding back. Filled with all of the quirky characters from THE WITCH OF THE MEADOWS this becomes a magical journey back to the beauty of nature as well as a heartwarming tale of a boy who never let himself quite fit in. I sometimes found it difficult to read about Cor’s deceit or his suppositions that everyone he came in contact with wouldn’t accept him for one reason or another, but when all was said and done, he showed personal growth, and a releasing of the very preconceived notions he accused others of! Another wonderful, magical, young adult tale with a message from Laurel Wanrow! I received a complimentary ARC edition from Laurel Wanrow! Guardian of the Pines takes place after Fern's adventures in The Witch of the Meadows. We get to see how things are going for Fern, Beri and the other characters, but the focus is on newcomer Cor and his desire to find his place in the world. Cor is desperate to land an internship, and he will do whatever it takes to do so. And his actions cause problems and pain for Fern and the others. It took me a long while get past his lies and willingness to hurt others to help himself, but by the end of t Guardian of the Pines takes place after Fern's adventures in The Witch of the Meadows. We get to see how things are going for Fern, Beri and the other characters, but the focus is on newcomer Cor and his desire to find his place in the world. Cor is desperate to land an internship, and he will do whatever it takes to do so. And his actions cause problems and pain for Fern and the others. It took me a long while get past his lies and willingness to hurt others to help himself, but by the end of the book he starts being more honest and recognizing how his actions have affected everyone else. I have cautiously started to warm up to the guy, but I'll have to see how he is in later books. Loved seeing the other characters, and I would definitely like to learn more about Hazel and see where life takes her. And more Toots the owl, please. This book was very interesting. Like nothing I’ve ever quite read before. This book was interesting because fantasy isn’t normally my thing, and this book ended up being nae quite my cup of tea... normally, I’d let the author know within a few chapters, but the thing with this book ended up being that... the writing was absolutely freaking beautiful? The imagery, the world-building — nae quite like anything I’ve ever read before. I loved the attention to detail, and especially in the di 3.5 Stars! This book was interesting because fantasy isn’t normally my thing, and this book ended up being nae quite my cup of tea... normally, I’d let the author know within a few chapters, but the thing with this book ended up being that... the writing was absolutely freaking beautiful? The imagery, the world-building — nae quite like anything I’ve ever read before. I loved the attention to detail, and especially in the dialect — little details like the characters saying “nae” instead of “no” or “not” help make the world-building great. And *that’s* what kept me hooked. The fact that this book wasn’t quite my thing is at NO FAULT of the author. The fantasy genre is usually spotty with me; either I connect with a book or I just don’t, and I didn’t quite connect with this one. BUT I very strongly believe that more loyal fans of the fantasy genre would *adore* this read. The world-building, as I’ve gushed, is absolutely freaking phenomenal. While I didn’t personally connect with the characters, the world was lovely and it’s a shame I didn’t quite appreciate them as much as I thought I would. Though, I think I have an idea as for why that may be. Guardian of the Pines has a summary that makes it sound like the plot will mostly revolve around Cor, and his possible romance with a boy named Oyster, so I wasn’t quite expecting half of the plot to follow a girl named Fern. The story is written in third person and it follows one character a time, Fern being one of them — yet she’s nae mentioned in the summary at all. That kind of threw me for a loop, and I found myself kind of skimming her bits, wondering when we would get back to Cor and his portion of the story. Oyster, too, was introduced much later than I anticipated, but I didn’t mind that so much — I much prefer a slow-building romance to an instalove one. One of the things I really liked about this story though, besides the world-building and imagery, would be the social issues Cor addresses. He lives in a fantasy world that’s entirely made up, but things like prejudice and racism — things that are very much still rampant in today’s society — are addressed, which is especially important considering Cor is a POC. It was really incredible — yet also sad — to read about how Cor’s world paralleled our own. Especially reading about his insecurities and doubts about liking a white boy while he’s PoC — as a white reader, I admit that I’ve never really thought about things like that, so that certainly helped open my eyes a little. I thoroughly enjoyed reading Guardian of the Pines! A great sequel to "The Witch of the Meadows" in the sequel it brings back all the characters from The Witch of the Meadows with a few new ones.. Recommends it for: Fantasy readers and those who love nature. Fun to read and find out more about Fern’s magical world through a new character. I liked how the author expanded on Fern yet at the same time followed Cor’s journey to the magical island world. I was totally involved in the new magic Cor was learning. The growth of both Characters was exciting to see.